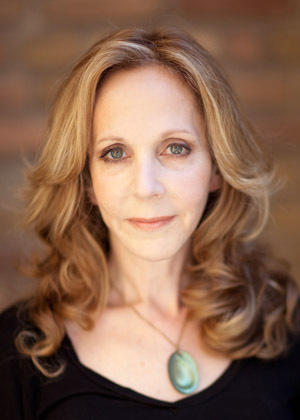 Today we have something out of the ordinary for our readers: an interview with Rebecca Newberger Goldstein. Goldstein has written ten books, including six novels, philosophical writings, and studies of thinkers such as Spinoza and Gödel. Her latest book, Plato at the Googleplex, imagines Plato returning to 21st century America in order to take stock on whether the questions that he first raised 2400 years ago are still relevant. As you will see, one of the many topics that Goldstein has Plato discuss is Jungian typology. Dr. Goldstein, thank you for taking the time to answer a few questions on your new book, Plato at the Googleplex. In your work you have previously engaged with more “modern” thinkers like Spinoza and Kurt Gödel. What made you decide to reach all the way back to antiquity this time? Paradoxically, in order to make the argument that philosophy makes progress. And one of the techniques I use is to bring Plato forward into our day, to look at what we’ve done with some of the questions that he first raised, and see whether we’ve come to any conclusions and whether these conclusions have had any practical effects. And I argue that the answers to these questions are yes. Plato created a self-critical process, one which aims at making our lives as internally coherent as possible, including ethically coherent, and this process has left Plato behind – which is how he would have wanted it, I think. The Plato of my dialogues is constantly surprised, not only by our science and technological progress, but also our ethical and political progress. But I wasn’t only interested in bringing Plato forward into our time, but also in traveling backwards into his time. Plato almost single-handedly created the field of philosophy as we know it. How did he do that? Sure, he was a philosophical genius, but he didn’t come out of a cultural vacuum. I argue that the preconditions for philosophy were created there in Athens. To examine the nature of philosophy – and argue for its relevance to our own extraordinary time – I wanted to examine that extraordinary time and place. There are many ways, both good and bad, in which our own time parallels his time. In your book, you imagine Plato discussing ancient and modern issues with contemporary, 21st century people. When people write on such themes it is usually Socrates who is imagined to have come back. What made you focus on Plato instead? Precisely because he was the person who created philosophy as we know it. He used his character of Socrates, which he created after the death of Socrates, to raise and explore issues – metaphysical, ethical, epistemological, linguistic, mathematical, political – that the historical Socrates hadn’t considered. The words that are attributed to Socrates are Plato’s. If I wanted to argue, as I did, that the field he created is still speaking to us, even when we don’t rightly identify it, then who better to use than Plato? So I take it that you don’t buy the various scholarly attempts to separate Socrates from Plato then? Oh no, I do accept such attempts, which is why I draw the distinction between the historical Socrates and Plato’s character of Socrates. Of course, there was the real man on whom Plato based the character. And I think we can take it that certain personality features of the character Plato presents to us in the dialogues – his irony, slyness, brutal honesty, fierce concentration, intellectual integrity and fearlessness etc. – were all true of the real man. And probably some of the points of view as well that Plato has Socrates espousing in the dialogues were propounded by the historical Socrates – but not all. Plato was a philosopher of genius who had heard a certain subset of philosophical questions explored by Socrates, but who greatly expanded the reach of philosophy into areas not considered by Socrates, including epistemology and metaphysics, philosophy of language and of mathematics. During the 20th century, Plato’s character and philosophy took quite a shellacking and Plato was frequently compared to some of the blackest names in history [e.g. by Karl Popper and Ludwig von Mises]. Do you think these criticisms were justified? Plato was formulating difficult questions for the first time. Here is one of the most difficult questions: what are the characteristics of rulers that will keep them from abusing their rule? Plato wasn’t terribly impressed with the Athenian experiment in democracy. Remember, it not only put Socrates to death, but also engaged in terribly reckless military ventures, collectively known as the Peloponnesian Wars. Every citizen (a class which of course, excluded women and slaves) had a vote on all the important decisions; it wasn’t representative democracy. Plato thought that the majority of people weren’t capable of rationality, and that therefore political decisions shouldn’t be placed in their hands. Rather they needed incorruptible rulers, who would make the decisions for them. For Plato, then, the central political question becomes: how can one cultivate rulers who won’t love their own personal power above their love of justice? This was his motivation for proposing, in the Republic, the quixotic notion of the “philosopher-king,” someone who, through both his natural characteristics and his intensive training, will wear his crown of absolute power reluctantly – out of a sense of obligation to the collective good. We’ve had a lot of history in between Plato’s Republic and our day, and that history has taught us to be wary of all manifestations of absolute power. Power corrupts and absolute power corrupts absolutely. Plato didn’t know this, and his utopian speculations can therefore strike us as naive at best and sinister at worst. Popper and Mises push the sinister interpretation. But their portrayal of Plato as, at heart, a totalitarian is unappreciative of the difficulty of the problem that Plato was trying to solve: namely how can the state best be run, given, on the one hand, the fact that voting citizens are often ill-informed and easily manipulated and/or swayed by narrow self-interest, and, on the other, that those who are in power tend to abuse their power. Plato came up with a proposed solution which we can no longer take seriously. Given the historical horrors of totalitarianism, even of the self-proclaimed enlightened kind, we’d rather, most of us, risk the irrationalities of the electorate. Plato’s mistrust of the voting citizens, by the way, was much on the mind of the writers of the American Constitution (who were all classically trained), which is why they came up with the idea of representative democracy – quite different from Athenian democracy – as well as such mechanisms as the electoral college. So Plato’s misgivings of democracy helped shape our far more successful experiment. As you say, when Plato envisioned his philosopher-kings, he did not have the historical evidence before him which has taught us not to entrust anyone with absolute power. However, just like die-hard Communists will argue that “real Communism has never been tried”, a die-hard Platonist might also argue that no “real philosopher” has ever been king. If faced with the historical evidence available to us today, do you think Plato would continue to endorse his philosopher-king solution? Actually, Marcus Aurelius came pretty close to the ideal of the philosopher-king. I recommend his Meditations. But clearly, most people are corrupted by power. Plato certainly knew this, which is why he spends so much time in the Republic speaking of which kind of character to choose for leaders and what their extensive training should be. He wants rulers who only rule out of a sense of ethical obligation; power is the last thing they want. And even so he gives us a detailed analysis of how his ideal state will, by degrees, deteriorate until it is the worst thing of all – a tyranny. So he didn’t have high hopes for his utopian plan. I like to imagine that he would find our own compromises – a democracy with professional politicians, elected representatives – although less than ideal, as our present Congress so splendidly demonstrates, at least a proof against tyranny. In your new book, you briefly have Plato discuss the MBTI and Jung’s Typology. What made you introduce that passage into the text? Given Plato’s proposed solution to the fundamental political problem which he’d set himself, he was very interested in different personality types, with their different potentials for leadership. It sounds like your Plato is taking a favorable view toward a sharper and earlier division of children in our education system, allowing children’s inborn personalities to influence their education. What do you think his recommendations would be for the practical implementation of such a division? Yes, I think even though I try to “liberalize” Plato somewhat in the face of what we’ve learned over the past millennia, I keep him committed to the view that early education has to be at least partially tailored to the child – which is not necessarily an anti-progressive idea, only highly impractical on a mass scale. There can’t be a one-size-fits-all approach, I have him asserting. I’d even go farther than Plato in urging that we open our sense of successful education to include recognition and cultivation of talents that can make a successful life, even if it’s not just strict academic talent. Plato’s educational program is all centered on producing philosopher-kings, as a solution to the problem of political power. He’s not worrying about the bulk of children and the kind of education they need in order to bring out the best in them and prime them to flourish in their lives. That wasn’t Plato’s problem but it is ours, especially since we’re committed to universal education (not something he worried about). So we’ve got a far more complicated situation on our hands, if we accept the Platonic presupposition that children are born with different personalities and talents and their education ought to be tailored to these inborn traits so that we do them justice. We shouldn’t educate our children as if they’re all going to grow up to be university professors, which slights other talents and makes a lot of kids feel like failures before they’ve got a foot out the door. But this takes vast amounts of attention to individual kids, and we don’t have the resources. Of course, people with means can afford to choose among private schools. But what about people without means? How can we tailor education to the particular child? I think only by bringing parents into the educational process. Plato could afford to think about removing parents from the educational process, leaving it only up to the state to educate; I don’t think we can hope for our kids to get the individual attention they require from overworked teachers who aren’t highly enough valued in our society. The most practical solution I can think of – and it’s one that many parents are already doing – is to give their kids what they’re not getting at school, recognition of their own best talents and help in developing them. In the book, you identify Plato as INTJ. I’m sure our readers want to know: What was your own result on such tests? And did you find the description accurate? Perhaps because I’m an INTJ, and so rather private, I prefer not to answer that question! It figures. Dr. Goldstein, thank you for taking the time to answer these questions. It has been a pleasure. It’s been a pleasure to consider your interesting questions. 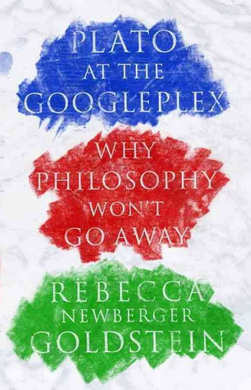 Rebecca Newberger Goldstein’s new book, Plato at the Googleplex, is available through Amazon. Very interesting interview. I really like the perspective on education and the need to create a more individualized education system and yet the challenge that come along with it. Although I also wonder a bit how it would effect balanced development. Does José Mujica, President of Uruguay, not qualify as a modern philosopher king? It would be interesting to see him typed on the site. I liked the interview but I wonder how she arrived at Plato as INTJ. His theories do not fit Te reductionism well imo. First of all thanks for the revealing article. I, as a rational being, perceive the idea of ‘Philosopher-King’ as being naive having the privilege of scrutiny of two millennia over Plato. I however challenge the notion that the world ( even the free world ) accepts it. I’ve seen some ditactorship’s being treated with ambivalence by economists Augusto Pinochet’s in Chile being an example. The bargain they offer is often something along the lines: Short-term violation of individual rights in order to accelerate progress of all in the long run. If we change his idea for a subset of ‘Philosophers-Kings’ then if I’m not mistaken China might be counted in. I hear the liberals claiming that economic theory says that US economy is better of ‘offshoring’ some of these low margin manufacturing sectors and retain intellectual property over the products. And some even acknowledge that even though some claims of work abuse often bubble up to western midia, they argue that workers are still better of overworking within the industry then starving in the fields. In the long run their suffering would be nothing but a hiccup in the history of a progressive China. Since obviously lot of middle level workers are out of jobs ( in and outside US ) this ambivalence has a huge impact worldwide. I would like to know how the Author feels about this particular 21 century of version of Plato’s ‘Philosophers-Kings’. The other is could the ‘Philosopher-King’ be one of Jung’s archetypes? I so, perhaps we are going to see different manifestations of dictatorships throughout history. Being promoted as salvation by the masses or received with ambivalence by some of the intelectual circles. Paulette: Maybe. We will put him on the to do list. Glennawhen: We think Dr. Goldstein’s method consists in taking the Humanmetrics test “as if” she were Plato. She does not appear to use the Jungian cognitive functions. Varela: We do think there’s a case to be made for China and other technocratic nations as being governed by Philosopher Kings, though probably not the kind of Philosopher Kings that Plato envisioned. We can’t answer for Dr. Goldstein, but with regards to your points on globalization, Plato’s blueprint for the state was the Greek city-state (the polis) so on the face of it he would be opposed to globalization and the kind of symbiotic outsourcing that we see between China and America at the moment. As for your other question, Jung did indeed have a semi-archetypical typology of dictators, though there is no a priori Philosopher King in that. I would like to see a sequel. Shopping Hour with Schopenhauer, where our grouchy philosopher is initiated into the mysterious rituals of mall culture. Dumb snark aside, I was merely wondering what might be said of Edward Gibbon’s five good emperors in general. Yes, we do have mention of Marcus Aurelius here, but overall, Gibbon believes the 5 from Nerva to Aurelius were overall the best bang for the buck. Adoption of the clearly skilled in turn seems to be the Platonic way. I just don’t know how conformable the 5 are to this model (beyond Aurelius, more rather the unbroken sequence). Perhaps there’s nothing to this observation for the Platonic theory under fire. Oh well. I for one would like to see a sequel on Godel’s incompleteness theorem and his relationship with Albert Einstein. Godel’s theorem disproves Bertrand Russel’s ‘Principia Mathematica’ (PM) which attempts to layout the fundamental rules and axioms that would allow any mathematical truth in principle to be proved. He tried to create a hierarchy of truths: PM is an iconic “ivory tower theoretian’s” work! Seems to me a better solution than training leaders would be to design an educational system that trains citizens to elect the most competent, benevolent leaders, filter out deceitful candidates, and then remove and replace the corrupt ones. An interesting interview, and I’m quite looking forward to reading the book (I much enjoyed the ‘Betraying Spinoza’). Also nice to see Plato’s thoughts on democracy viewed against the backdrop of the Peloponnesian Wars, and his various ideas given some context as actual answers to the specific problems he posed; far to often the philosophers of ages past are misquoted and their ideas stripped of all context, when handled by modern authors. I do, however, find your resignation on the possibility of extended attention towards every child in school rather sad; and even though a systematic discourse on the economic viability of such a project might be beyond the scope of this book, an acknowledgement that it would be possible although expensive (from a purely economic standpoint) would have been nice. A good interview, thank you! And yes, an intuitive place to start is to educate our kids to be philosopher-citizens. I don’t read Rebecca Newberger Goldsteins thoughts as resignation – by the way – she suggests bringing the parents into the educational process. The motivational matrix in this is interesting; the by far most important thing for most parents. In my mind it becomes at challenge in organization, incentives and especially facilitation. The idea of having a historical thinker like Plato evaluate his ideas in the modern age may not be entirely original, but intriguing nonetheless. I agree that what we can know about the actual Socrates and the character depicted by Plato is rather limited, thus Plato is a more interesting individual to examine as we can know much more about him with relative certitude. I may pick up this book the next time I’m making some online orders! I wish I had more time to check out the articles here these days. I hate to be late to the party!